South African star cricket player Ab DeVilliers has been ruled out from HBL PSL season 4. In a match against Quetta Gladiators on 23rd of February, the protease star got back injury due to an awkward dive. In post-match analyses report, it was said that the injury is not a sign to worry and he will continue to play. Ab Devilliers did play two matches after that injury. On his schedule checkup on Sunday the doctor and physician advised him to take rest of two weeks in order to avoid any serious damage to fitness. With that particular advised Mr 360 has been out of the tournament and will not be the part of PSL in Pakistan. Ab Devilliers feels sorry and he has apologized from the Pakistani nation on not traveling to Pakistan. In his statement, he said that Pakistan is very much cricket loving nation and, he was committed to travel but it was an unfortunate happening that stopped him to travel and play cricket in Pakistan. 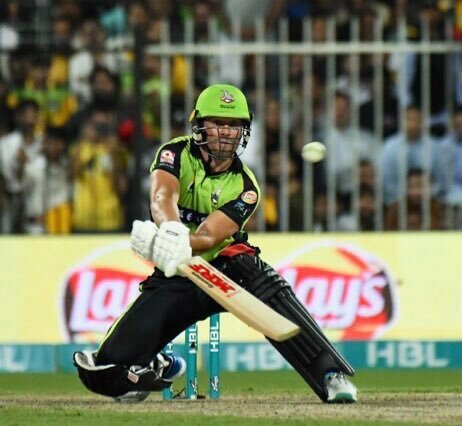 Talking about Lahore Qalandars franchise, it is a huge setback for them as skipper Hafeez and wicketkeeper Brandon Taylor are already out for their injuries. They seemed to have trouble in their middle order because Ab Devilliers was the only cricketer who bats to the depth.